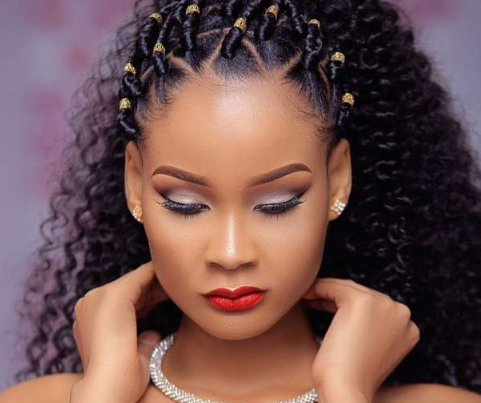 Singer Ray C recently came out to share that Video Vixen Hamisa Mobetto’s new business is not what she expected. The popular singer claimed that Mobetto is selling fake stuff collected from China, a thing that didn’t impress Mobetto at all. Mobetto, who started a new boutique just a few weeks ago, has come out to defend her business insisiting that the singer is just another bitter person now that she’s doing good. She asked Ray C to start her own business and focus on selling legit stuff. “Mwenzoko anaanzisha Biashara, Badala ummunge mkono, unakuwa wa Kwanza Kumponda, Kama Hupendi anachouza kanunue kwingine auanzisha chako bora Zaidi. Kuiongelea vibaya Biashara ya Mwenzako huku wewe huna lolote ni kumkaribisha shetani. Wivu na chuki binafsi havitakupleleka popote Zaidi ya motoni, Roho Mbaya itakupeleka Jehanamu” shared Hamisa Mobetto. Ray C claimed that it was better to buy locally tailored clothes than to buy fake designer. #Hamnaadabu #Tanzaniayaviwanda Mtakuja kuvaa mpaka FFU mje mkamatwe” wrote Singer Ray C.